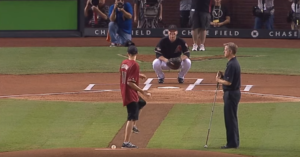 Blind Teen Throws 1st Pitch At Baseball Game & The Crowd Goes Wild When He Nails It. 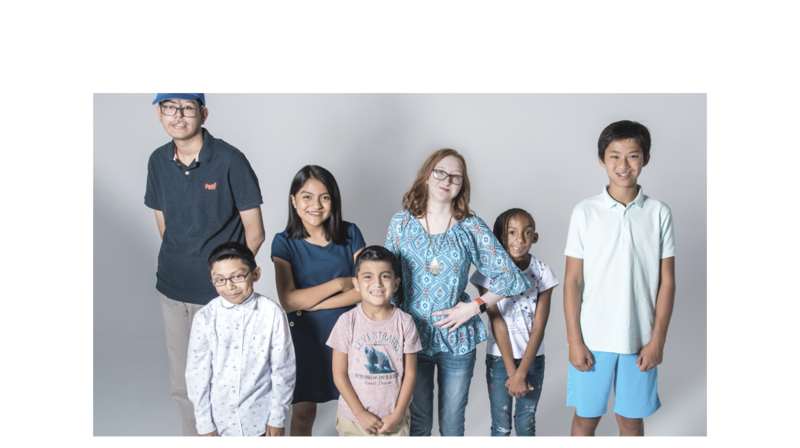 People with disabilities are often underestimated when it comes to what they can and can’t do. 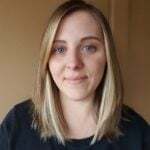 But there’s plenty of proof to show that these individuals can (and do) accomplish whatever they set their minds to; they just go about it in a different way. In fact, many outshine the rest of us with their surprising abilities — case in point, Max Ashton. 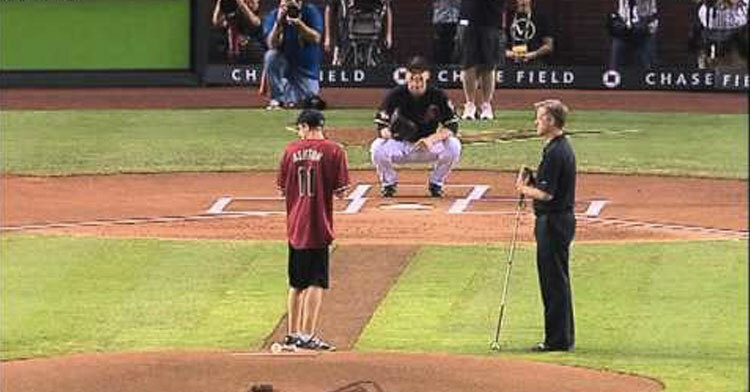 In October of 2011, Max had the pleasure of throwing the ceremonial first pitch for Game 4 of the National League Division Series between the Arizona Diamondbacks and the Milwaukee Brewers. 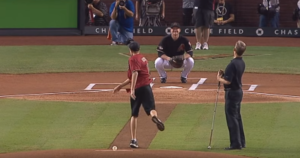 While it’s an honor for anyone to throw the first pitch, it’s also a pretty nerve-racking experience for celebrities and Average Joes alike. Max, on the other hand, cooly and confidently threw what many called one of the most impressive strikes in the history of baseball. Oh, and we forgot to mention one small detail… he’s blind. 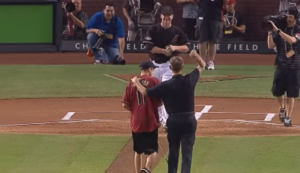 In footage taken before the game, Max is seen being led to the pitcher’s mound by his dad, Marc, who is the CEO of the Foundation for Blind Children. Max winds up, leans forward, and throws the ball seamlessly into the catcher’s mitt as the crowd cheers. It’s clear Marc is one proud dad as he pumps his fist into the air for his son. The video of Max’s amazing throw was uploaded to YouTube, where it went on to garner over two million views. Thousands took to the comments section, praising the then-teen for pitching better than many of the first-pitch picks before him. 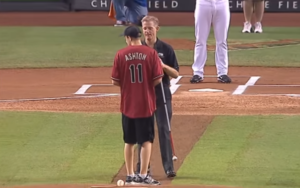 “Probably the best first pitch I’ve ever seen,” one commenter wrote. This just goes to show that even if we have physical limitations, it doesn’t mean we have to let them hold us back. Watch as Max impressively throws a perfect strike in the video below, and don’t forget to share.